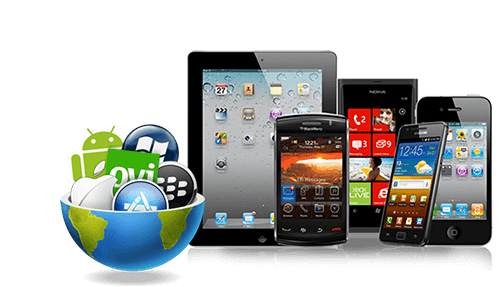 SipCo Systems provides comprehensive services for mobile application development for all main platforms like Apple's iOS and Google's Android. Mobile phones have become most important aspect of our life. Mobile applications have turned out to be one basic requirement for any business in this modern era owing to the trends and convenience of present day customer base. Mobile apps allow customers to have the required information at their fingertips. Also, it is essential for the app to work on multiple mobile application platforms. SipCo Systems provides comprehensive services for mobile application development for all main platforms like Apple's iOS and Google's Android. SipCo Systems is equipped with a team of dedicated and professional software Engineers. With expertise and skill, we provide you with the finest mobile apps as per your requirement. We keep ourselves updated with current market trends and standards in order to meet the expectations of our customers and give unparalleled outcome. With systematic approach and cutting edge method of our Engineers, SipCo Systems is the right destination for your mobile application development needs. Whether your requirement is to improve employee productivity or to investigate untapped specialized customer-bases, or expand your existing customer base we provide solutions for your app development needs that will increase enterprise mobility and stimulate growth.